A high-rise holiday heaven, Cancún is a planned resort first laid out in the 1970s. 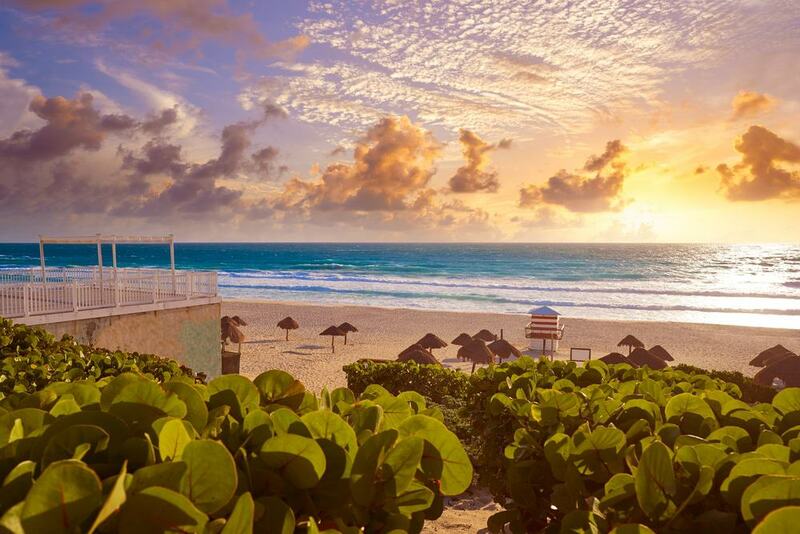 Just the name” Cancún” stands for powdery white beaches, turquoise seas, attentive service and easy luxury. You may also think of rowdy students down for Spring Break, and it’s true that people come to Cancún to cut loose for up to six months of the year, from November to April. If you’re determined to unplug and forget about your cares you can stay put on a beach with an agua fresca, beer or margarita in hand. But Cancún rewards people who want to put the miles in. Before long you could set foot on picture perfect tropical islands, raft through underwater rivers or journey to Mayan cities like the world-renowned Chichén Itzá. 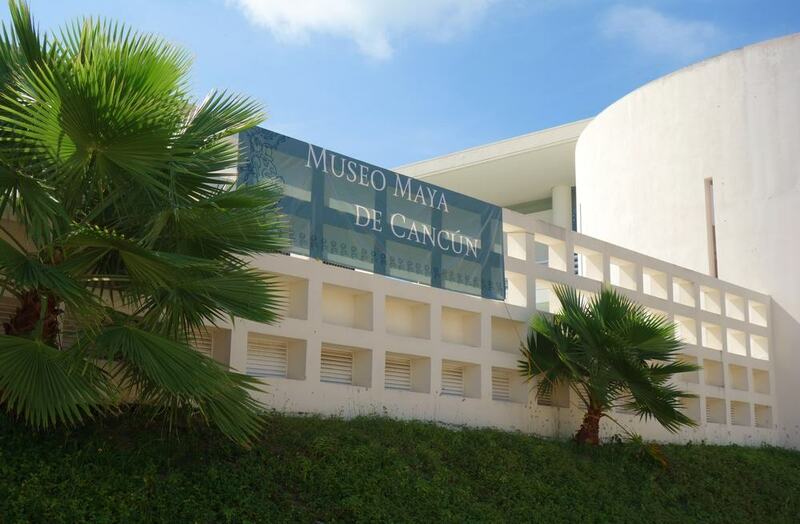 A showcase for some of the Mesoamerican artefacts unearthed in Quintana Roo, the Museo Maya is a great primer for a trip to Chichén Itzá. You’ll get to know about Mayan trade, agriculture, customs, belief systems and the relationship between each city’s elite and the battles they fought. The museum is built on top of the ruins of the San Miguelito pyramid and dwellings, and these are cleverly integrated into the grounds. As for artefacts there are fragments of steles, bones, household utensils, monumental sculpture, jewellery, pottery and figurines, all neatly and informatively presented. At the time of writing there was also an engaging if grisly temporary exhibition about Aztec human sacrifices. A World Heritage Site and some of the most celebrated pre-Hispanic ruins in the Americas, Chichén Itzá is a day trip that you cannot pass up. For archaeologists the site is incomparable as it was inhabited through three phases of Mesoamerican history (Late Classic, Terminal Classic and Postclassic), and blends the northern Mayan Puuc style with architecture normally seen in the central Mexican highlands. The site’s central area is where the big-hitting landmarks stand, like the 25-metre calendar stone and the dominant Pyramid of Kukulkan. 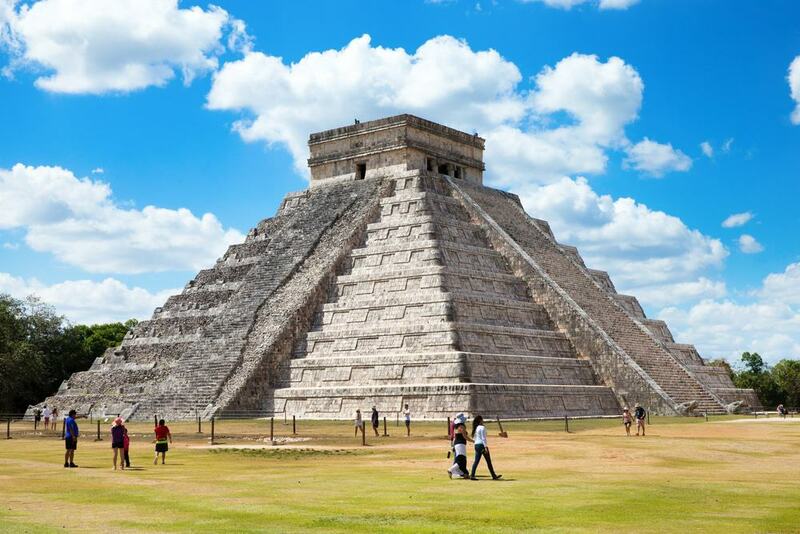 If you don’t mind joining the throng, an extraordinary time to be at Chichén Itzá is the spring or autumn equinox in March and September, when the early evening sun resembles a snake slinking down the side of the Pyramid of Kukulkan. In a peaceful corner of the Hotel Zone south of the Museo Maya , Playa Delfines is a Blue Flag beach where you can flee from Cancún’s crowds. Long and wide, it’s a public beach with coarse white sand and powerful waves that appeal to surfers but might be a bit rough to swim in. Playa Delfines does have a delineated swimming area watched by a lifeguard, and you can always paddle in the whitewater without having to worry. There’s a beach bar for snacks and drinks, and you can use the palapas (palm shelters) for free. Just to the rear in large letters is the “Cancun” sign, which you may have seen in postcards or internet pics. Twenty minutes by ferry from Cancún, Isla Mujeres will feel like the other side of the world. 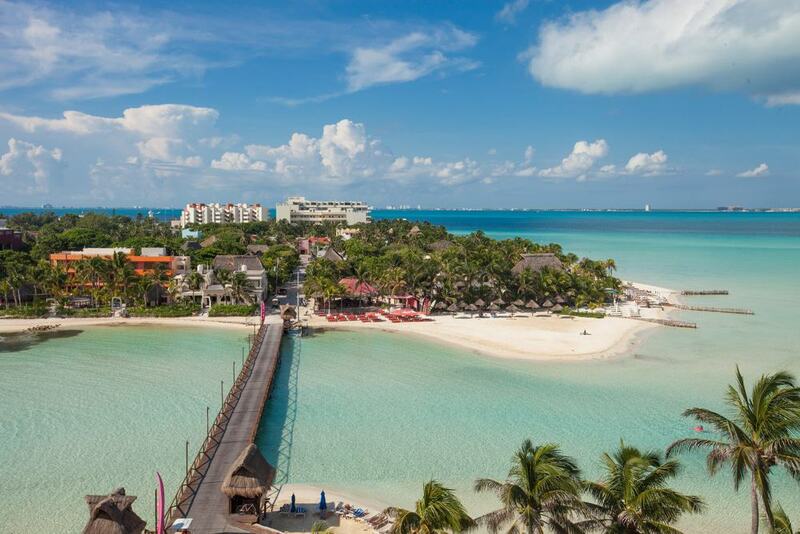 Where its mainland neighbour is hectic and commercialised, Isla Mujeres is mercifully undeveloped. At just over six kilometres long, the island is navigated mainly by golf cart, bicycle or on foot, and if you stay overnight you’ll notice how things get even quieter once the last ferries depart for Cancún. One of the many things to love about Isla Mujeres is its western, leeward shore, screened from the winds and currents of the Caribbean Sea and lapped by rippling transparent water. The best of these is famous Playa Norte, with powdery white sand, glistening turquoise waters and curious pelicans perched on the wooden breakwaters. Outside Playa del Carmen, an hour down the Mayan Riviera, Xcaret is another of those places that warrants every minute of the trip. It’s a combined activity and cultural park containing genuine pre-Hispanic ruins and the opportunity to watch Mayan artisans at work, Papantla flyers and a Mesoamerican ball game in the 6,000-seater Gran Tlacho theatre. There are also more recent Mexican traditions like Día de Muertos and demonstrations of folk dances. When Xcaret was being built a number of cenotes (caves and sinkholes) created by underground rivers were uncovered, and you can snorkel through their crystal clear waters. 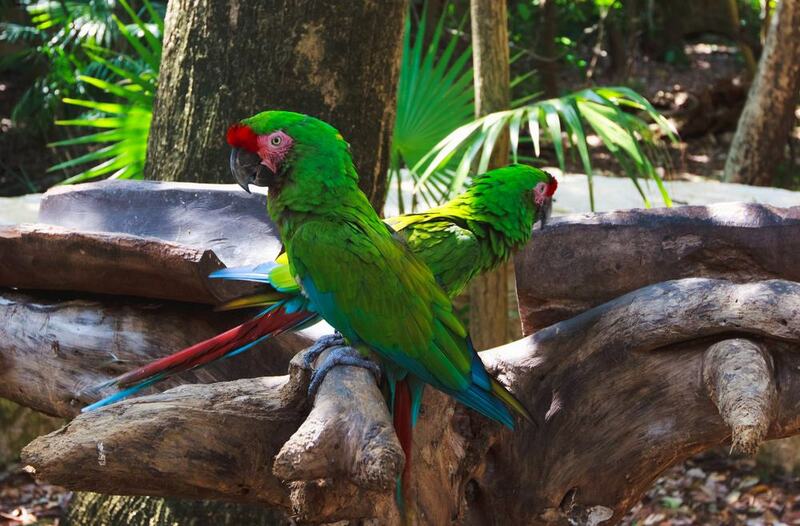 The Xcaret group manages a host of must-see attractions close by, like the new multisensory theme park Xenses, aquatic park Xel-Ha and the outdoor adventure centre, Xplor Park. Keep your wristband from Xcaret, and when you return to Cancún you can enter this observation tower/ride in the Hotel Zone for free. 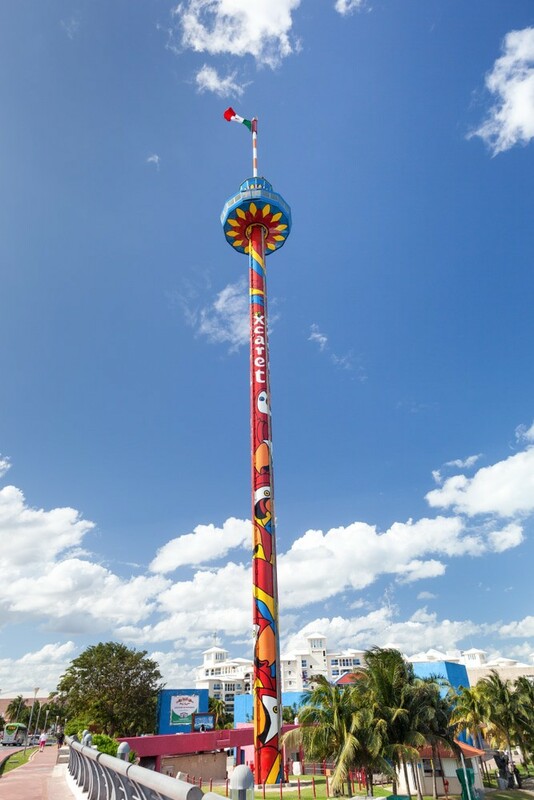 The highest point in all of Cancún, the tower has a rotating capsule, which you board at the bottom and rises to 80 metres above sea level. Over the speaker there’s a brief recorded summary of the city’s history, geography and statistics, as well as details of all the landmarks visible from the top. When you factor in the water clarity, warm temperatures, reefs, marine life and attractions like the Underwater Museum (MUSA), you can see why Cancún has a surplus of dive centres. If you have the time, the resort is world-class place to learn, and you can fast-track the process by completing your theory online before coming. 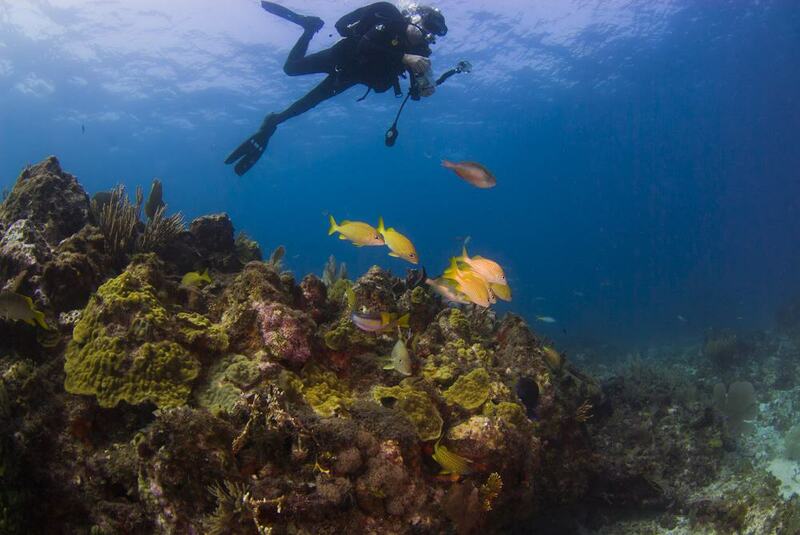 Seasoned divers can choose from dozens of sites and unforgettable wildlife encounters with dolphins, whales sharks (May to September), bull sharks (November to March) or sea turtles. There are also wrecks and caves deep enough to be unaffected by conditions above water. The cenotes along the Mayan Riviera to the south are primed for cave diving, and many of these have only recently been explored for the first time. This underwater museum off the west coast of Isla Mujeres opened in 2009 as an imaginative way of reducing traffic to Cancún’s reefs. Slowly, coral and other spectacular marine life has started to gain a new foothold on the museum’s sculptures, designed by the English artist Jason deCaires Taylor. There are more than 500 submerged works in 400 square metres of shallow and otherwise empty sea. 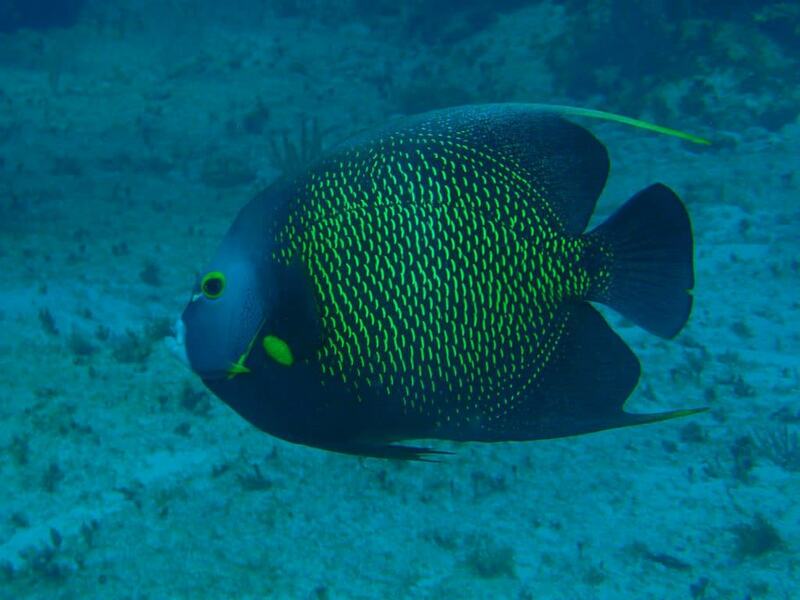 These pieces can be seen from a glass bottom boat if you’d prefer to stay dry, but most people opt for snorkelling and scuba diving to get a better look. It’s a safe place for newcomers to try a boat dive for the first time. The museum is extremely popular, so try to be here early in the day when you’ll have more freedom to explore. 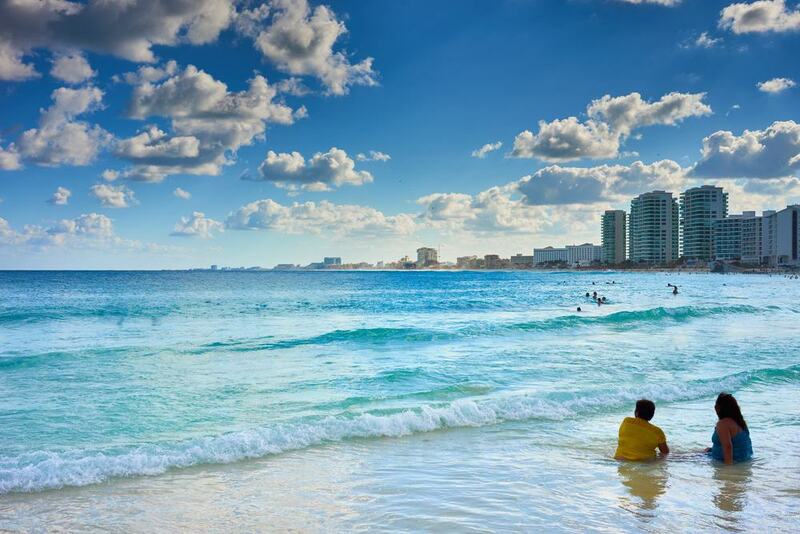 Cancún isn’t exactly a family destination, but this central square bucks the trend laying on a choice of amusements especially for the littler family members. Most fun are the electric cars that can be rented for $20 pesos for 10 ten minutes, and these are accompanied by carousels and a large playground. Grown-ups can browse the palapas, stalls built like beach huts selling arts and crafts and jewellery, and be tempted by the many Mexican street food vendors. Go for a churro if you’d like something sweet or a flan, sorbet or a marquesita (a sweet wafer tube filled with nutella, caramel, condensed milk or Edam cheese). Savoury snacks include quesadilla, salty grilled corn, tacos and much more. A glorious public beach, Playa Chac Mool is in the Hotel Zone and is a welcome, less touristy alternative to the resorts and private beaches. There’s no beach bar here, and just a single stand where you can rent a parasol and sun lounger. Come early because these are taken quickly. For food and drink you can either bring your own provisions or walk a little way to the OXXO (Mexico’s 7-Eleven). Playa Chac Mool has Cancún’s famed white sands, buffeted by some boisterous surf. The waves do break quite far out, leaving a large shallow area with turquoise waters that children can splash about in. The limestone bedrock on the Yucatán Peninsula is threaded with underground rivers, which have hollowed out caves or cenotes, some of which have collapsed, leaving open pools. Most cenotes are at least an hour or so from Cancún, but are available on organised tours from the resort. Ik Kil is one to consider, as it lies close to Chichén Itzá and will often be included in the same excursion. 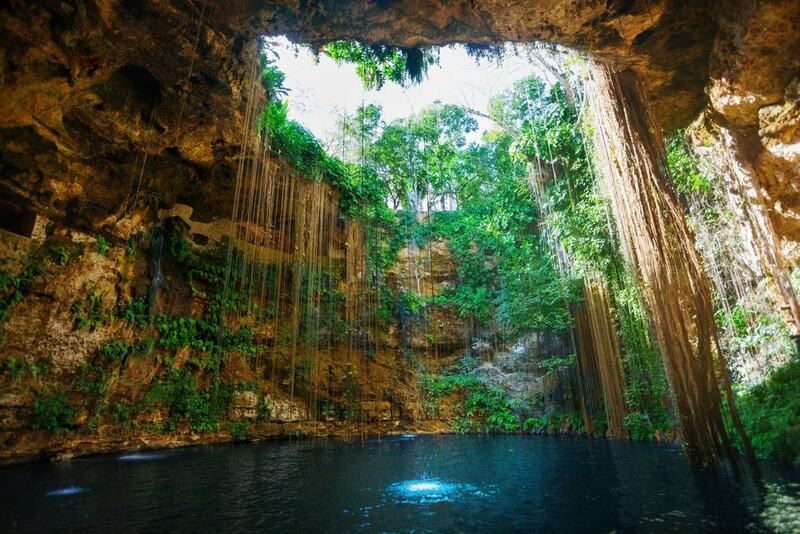 This cenote is open to the sky in a basin 25 metres below the forest floor and 60 metres across. There are trickling waterfalls and vines from the forest vegetation hang down and touch the water. Ik Kil is up to 40 metres and has been used for extreme diving competitions; you can have a go too, plunging into the water from the stone steps. 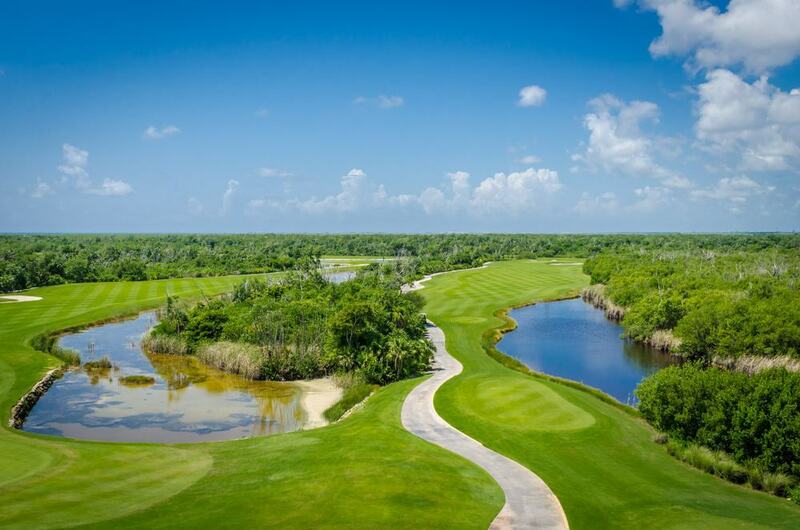 It’s only natural that an upscale destination like Cancún should be replete with golf courses. There are 13 inside a 20-minute radius and 15 if you’re willing to go a little further. Development in Cancún is strictly regulated, so courses interact with the natural environment, incorporating mangroves, dunes, jungle and even Mayan ruins. Puerto Cancun has mangroves on its front nine and you may spot crocodiles in the water hazards, so forget about retrieving your ball! A round climaxes with the island green on the par-3 18th. The Jack Nicklaus-designed Riviera Cancún is moments from the airport and is cherished for its clear views, free of high-rise development. Built on a delicate eco-system, the course has underground channels that allow its crocodiles to swim between the water hazards and stay off the fairways. 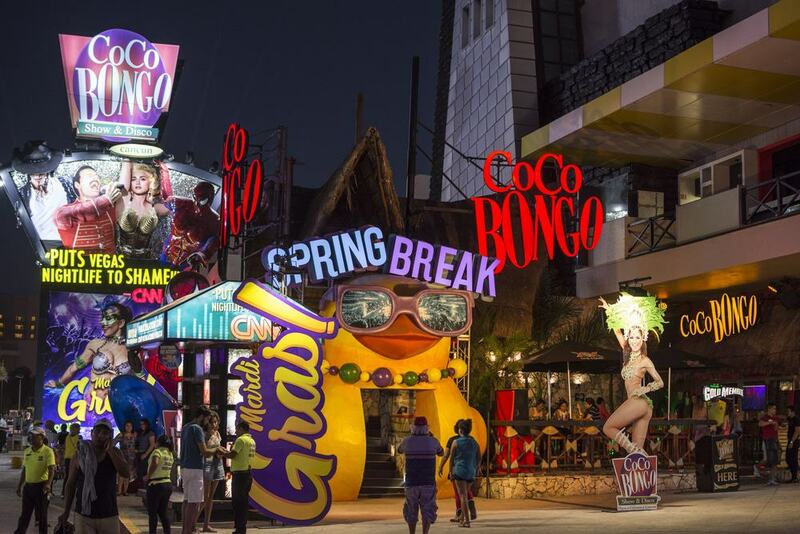 A cross between a mega-club and a choreographed Cirque du Soleil-style live show, Coco Bongo is completely over the top and kitschy, but no less than you’d expect from a night out in Cancún. At Coco Bongo there’s wild dancing like at any other club, and this alternates with extravaganzas that have high production values and involve live musicians, acrobatics, talented impersonators, fog, dry ice, confetti and other craziness. The venue can get very crowded, so VIP is the way to go if you want a bit more room to breathe, and with waiter service you won’t have to squeeze to the bar for drinks. 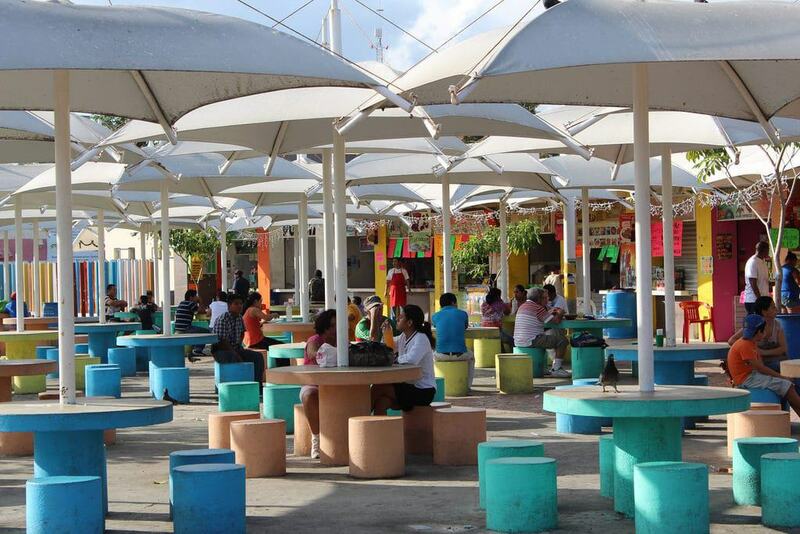 Also run by the Xcaret group, Xoximilco is a culture and food attraction under 20 km from Cancún. 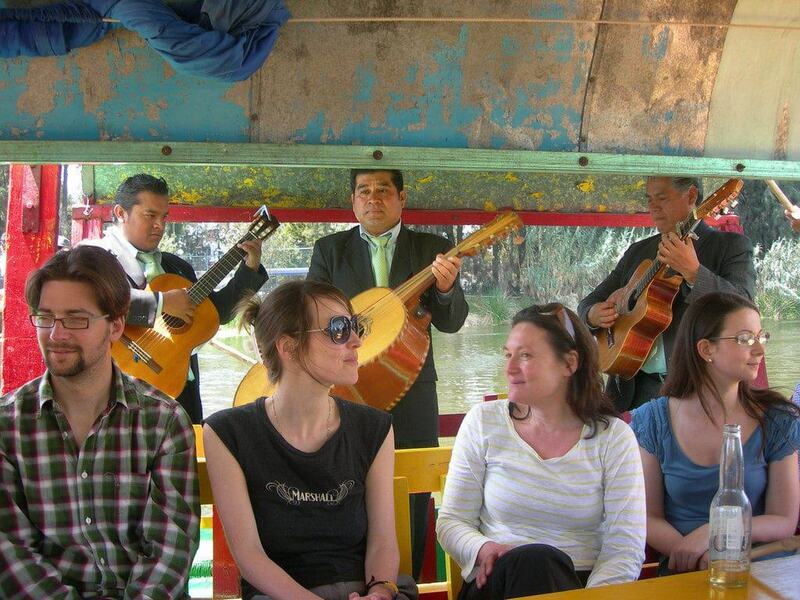 It is based on the real Xochimilco in Mexico city; this network of canals and islands is the site of a pre-Hispanic city, and people board “trajinera” boats to be serenaded by mariachi bands and buy food from floating vendors. Well, Xocimilco is a condensed, technicolor version, where you’ll be part of a floating fiesta, sampling traditional Mexican food, aguas frescas, beer and tequila. And all those alcoholic beverages may induce some dancing on your trajinera. If there’s one location that could sum up Cancún, it’s an artificial island that serves as a swish outdoor mall. 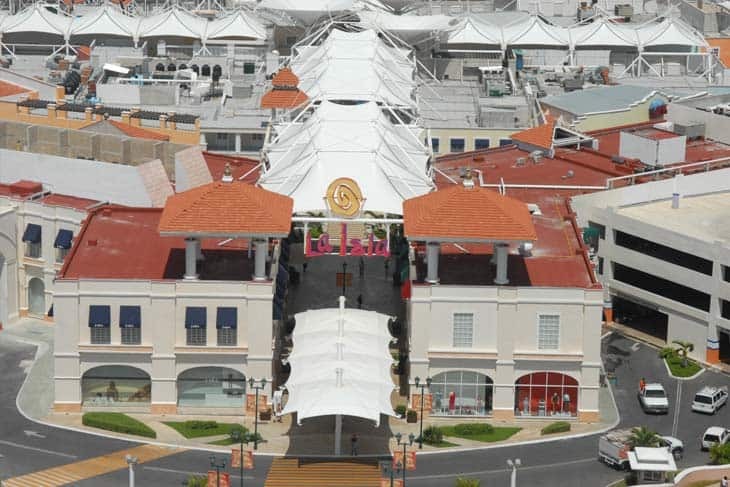 La Isla Shopping Village is the largest retail area in the Hotel Zone. Its alleys are shaded by canopies and there are fountains at the intersections to help keep things cool. The stores at La Isla are a mix of Mexican chains and brands that will be familiar to international tourists, like Zara, Nautica, Calvin Klein and RadioShack, to name just a few. For food and drink there are also chains found north of the border, like Häagen-Dazs, Chili’s, McDonalds and Starbucks.